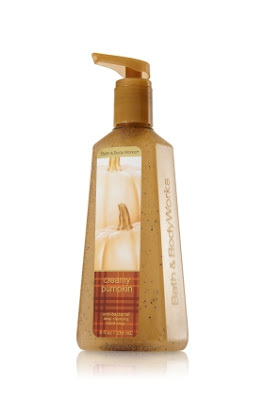 I think this year's Bath and Body Works Fall Anti-Bacterial hand soap collection is the best one yet. So many good scents, absolutely gorgeous packaging and a seemingly unending 6 for $20 sale. These ones are my favorite. I always get the Deep Cleansing formula. These soaps make me want to wash my hands just to smell them... I guess that's fine as long as they can sell me some hand lotion, too. 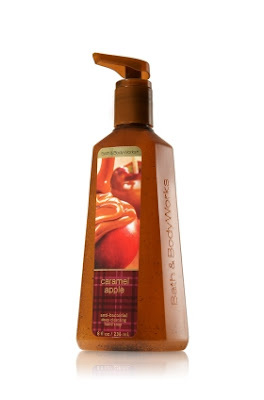 Caramel Apple: golden apple and creamy caramel. Cinnamon Raisin Cookie: baked oatmeal, plump raisins, brown butter and cinnamon. I don't actually smell any cinnamon in this scent, but I smell lots of raisin. It smells sweet and light, you can smell the baked oatmeal, but the most dominant smell is raisin. The raisin in it is very raisin-y. I like that. I can't think of anything else I have that's raisin scented. I'm glad I bought two of this one. Creamy Pumpkin: gingered pumpkin, caramel cream and whipped vanilla. This one smells like pumpkin and spice, creamy vanilla, and something very fruity. Apples or pears, maybe? It starts off creamy and mellow, exactly like the gingered pumpkin and whipped vanilla as described, but then explodes into something really crisp and fruity once you add water. Another very perfect fall scent. Pumpkin Caramel Latte: cinnamon pumpkin, spiced caramel and vanilla cream. This one is really strong. You get that typical 'pumpkin spice' smell followed by a very strong dark burnt sugar caramel scent. 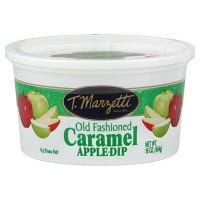 The caramel note in this one smells very artificial compared to the Caramel Apple one, but it's not unpleasant. It doesn't list coffee as one of its notes, but I still smell something espresso-like in there. Must be the spice in the spiced caramel. "This powerful germ-killing hand soap is enriched with an exclusive moisturizing blend to help hydrate and soften skin as powerful ingredients leave dirty hands clean and lightly scented. 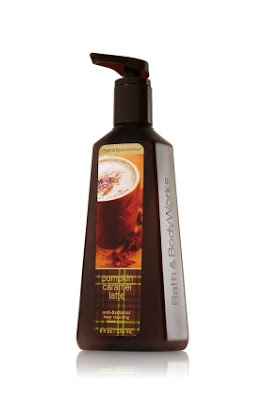 An exclusive blend of moisturizing honey, coconut milk and olive fruit extracts helps to nourish and soften skin. Exfoliating microspheres and cleansing bamboo extract leave hands deeply cleansed and feeling smooth and soft." If you've never used a Bath and Body Works Deep Cleansing Antibacterial Soap before, it feels really fantastic. It has these little purple balls in it, and some scratchy clear things, it's almost like a hand scrub but not quite. Just a soap with a little texture in it. Feels like scratching an itch. Kind of addictive, really. It is pretty drying, but I find the Deep Cleansing formula to be the least drying on my skin, while the Foaming formula is absolute murder on my hands. The Moisturizing formula is right in between for me. I think I need to stock up on these scents if they have them during the Semi-Annual Sale. These are currently my favorite ones ever. That Chocolate Mint one from summertime was really awesome, too. 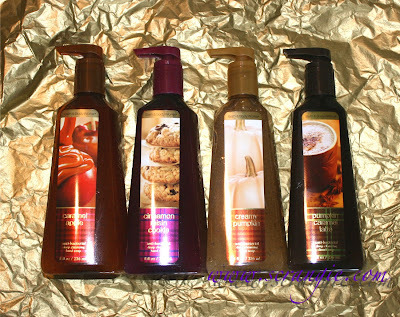 I LOVE the Bath and Body Works fall scents! I stock up this time of year. I really like Bath & Body Works hand soaps. I haven't visited a store lately, though it sounds like I need to get myself to one asap! I absolutely love pumpkin smells, and fall in general. I can't even begin to tell you how jealous I am that you can get all this awesome food smelling stuff over there! We need far more pumpkin flavoured items in Australia! 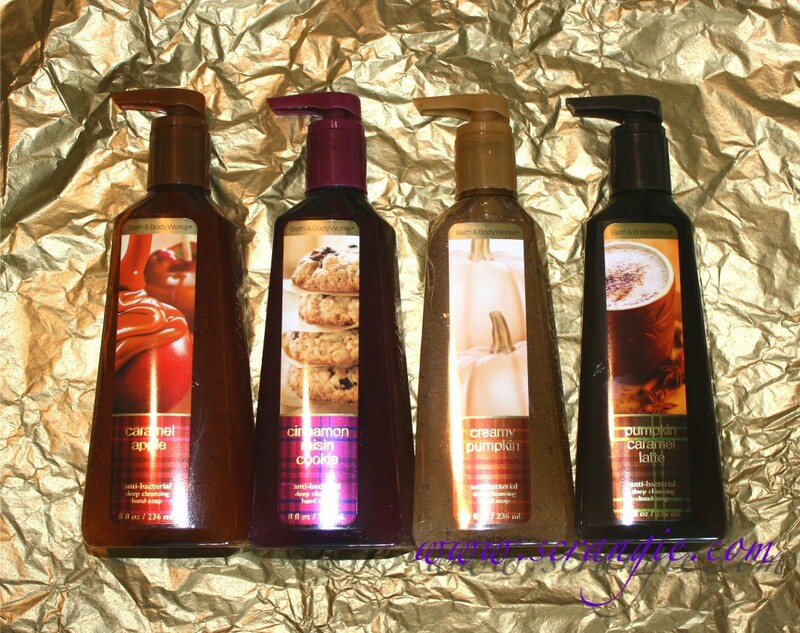 I love the Autumn lotions, etc from Bath & Body Works. I almost placed an order yesterday. Then I came to my senses & removed the whole order. I didn't need to spend $100+ on all of those lotions & shower gels. I have a few shelves full of the stuff. Omigosh, these Fall scents sound delicious. 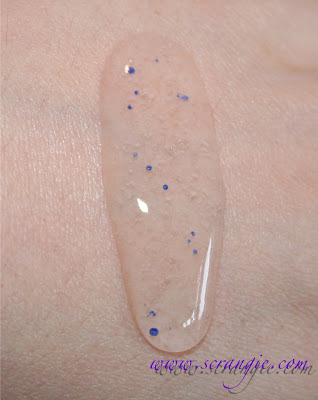 My mouth is seriously watering... over hand sanitizer! Do they have any non-bacterial hand soaps? The trouble with the antibacterial ones is that they don't kill all the bacteria, just the weakest ones, which leaves the strongest 2% to breed. Not a great idea. A good hand soap should be killing nearly all the creepy crawlies anyway. I do love me some non-bacterial, moisturizing, yummy smelling liquid hand soap though. This is the time of year to get the best smelling ones, that's fr sure.